Cast iron piping is no longer in use (for the most part) in residential homes because it is known to rust, crack, and leak over time. You can have a leak in your cast iron piping and not even know it! Many of our clients have had that same problem. With a cracked cast iron pipe, the sewage doesn’t reach its correct destination and instead stays under your home. Have our professionally-trained and skilled inspectors inspect your plumbing system for leaks with our high resolution video cameras made specifically for plumbing inspections. 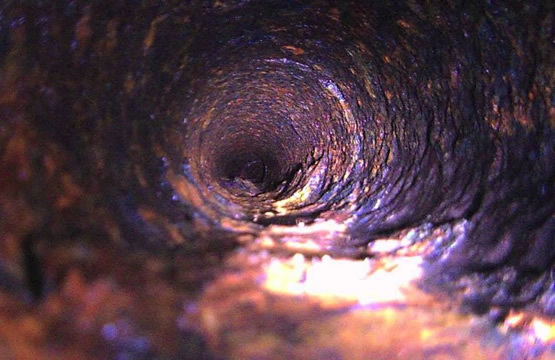 In the recent years with technology progressing, Sewer line cameras have become the most efficient and accurate way to diagnose even the most difficult plumbing issues. It allows inspectors and plumber to get a full inside look of the pipes that are underground in the homes foundation- taking away the guesswork or damaging the property trying to dig up the pipes to inspect the pipes. With a flexible rod holding the cameras fiber optic cables allowing it to turn corners to see the pipes in its entirety. The real-time video provides us with immediate information as to the condition of the system. With high resolution imaging we are able to determine the view the inside of the pipe and anything that could be causing issues such as blockades cause by debris and build up. The videos can be saved and pictures can be captured for future use. This is instrumental when reviewing the inspections to ascertain the best option for correcting the problem or presenting evidence to the insurance company. Please call us now at (786) 322-4600 to order our sewer/plumbing inspections. If a problem is found, we can also give you an estimate for repair or possible replacement. Doing it right, the first time. With our professional performing a sewer camera inspection, we can determine the exact location and cause of leaks that you may have. Upon receiving our report, you can make an informed decision about your sewer system repair. This will help keep repair costs low.